Mr. Trembley joined Hovde on May 15, 2018 as a Managing Director out of the Atlanta, Georgia office. He will be responsible for providing investment banking services, including M&A Advisory and capital markets solutions to depository institutions primarily in the Southeast and the Midwest. Mr. Trembley has spent the past 15 years advising depository institutions on a variety of strategic alternatives, including both sell-side and buy-side whole bank M&A, branch acquisitions and divestitures, FDIC-assisted transactions, as well as both private and public equity and debt offerings. During his career, Mr. Trembley has advised on over 65 M&A transactions and capital raises with a combined value of approximately $7 billion. Additionally, Mr. Trembley has participated as an M&A keynote speaker spanning across multiple state and regional banking conventions and conferences. Prior to joining Hovde, Mr. Trembley spent six years at SunTrust Robinson Humphrey as a Director in the M&A Financial Institutions Group. 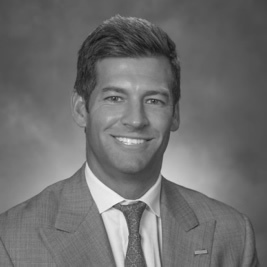 Prior to SunTrust, Mr. Trembley spent two years at Morgan Keegan as a Vice President in the Financial Institutions Group, and nine years at Burke Capital Group, a boutique M&A advisory firm specializing in community banks. Mr. Trembley earned a B.S. in Finance and Accounting from Miami University (Ohio). Mr. Trembley is registered with FINRA and holds the following licenses: 7, 63, & 79.